Mayor Guerrero mentioned that this donation comes following a promise that authorities would be receiving a new motorcycle. 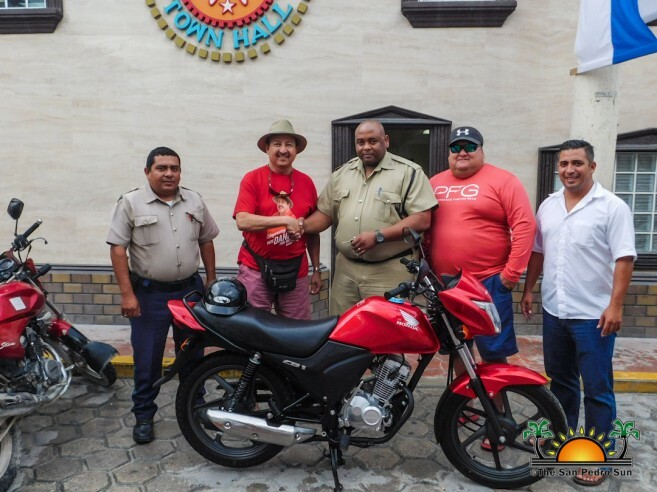 “We are working on getting more motorcycles for them [the police] to help them on their patrol as well as vehicles and other things,” said Guerrero. He hopes that with the addition to the police’s mobile fleet the island can be better patrolled, and officers can reach crime scenes quickly. Jemmott thanked Guerrero and the SPTC for the generous donations and indicated that it will be immediately put to good use. Furthermore, all residents are encouraged to report any and all criminal activities to the Police Station by calling 206-2022.